How Far is Ramaniyam Magnum? Ramaniyam Magnum is developed by a renowned developer in the city by Ramaniyam Real Estates Private Limited, located in Perungudi, OMR. One of the developing areas in the Chennai city, come and experience the elegant living at this amazing project and upgrade to premium lifestyle. Ramaniyam Magnum is located in Perungudi, OMR. 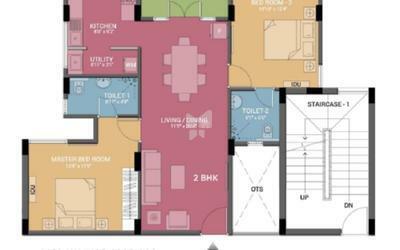 Here you will come across 2BHK and 3BHK apartments, the size of 2BHK apartments is 1085 Sq ft, 1185 Sq ft and the size of 3BHK apartments is 1203 Sq ft, 2310 Sq ft. 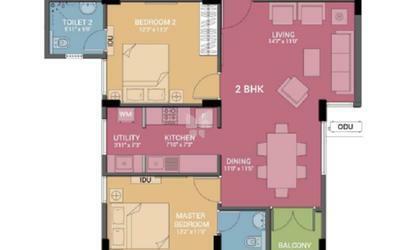 The project is located in Perungudi, OMR, Chennai. 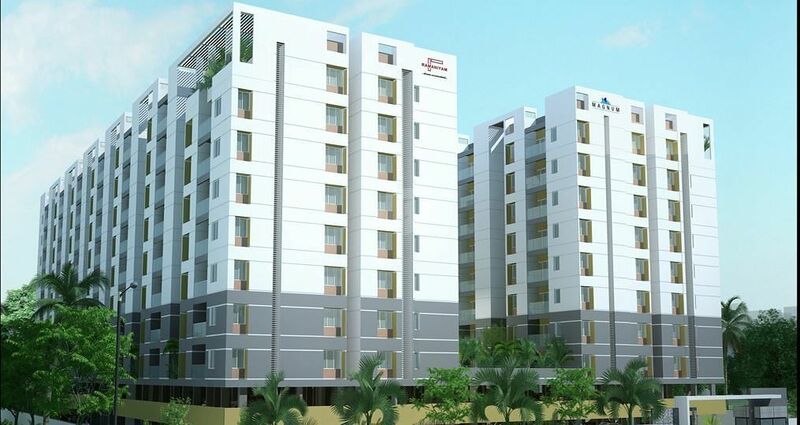 Ramaniyam Magnum is located in one of the most sought-after locations in the Chennai City. This RERA approved project in Chennai offers many location advantages. Ramaniyam Magnum is located near to all the key locations like well-known schools, hospitals, Colleges and to entertainment zones. No need to travel long for daily needs all are located at a walkable distance. Amenities at Ramaniyam Magnum makes you feel privileged which are designed to provide you with the best of comforts and convenience. Along with apartments in Chennai, the project offers an array of useful amenities, some of them are gym, yoga/meditation hall, badminton court, indoor games, swimming pool, clubhouse, multi-purpose hall, temple, rainwater harvesting system and children's play area. The flats proposed in the building complex is to be constructed to this specification subject to minor changes in dimension, locations found desirable or necessary to ensure sound engineering practice at the sole discretion of the Builder. R.C.C framed structure with porotherm brick walls. 2’ X 2’ vitrified tile flooring. Toilet and Balcony flooring with anti-skid tiles. Solid wood frames and imported solid wood doors for bedrooms and bathrooms with painted finish. Door fittings will be of DORMA make. Single lever divertor system will be provided in bathroom shower areas. CP fittings of Jaguar/equivalent make. Sanitary fittings of Parryware/equivalent make. Copper wiring – Finolex/equivalent make. Required number of lifts. Dedicated service lift. Sewage treatment plant will be provided. Genset backup for all common areas and flats. Periphery of the building will be suitably landscaped. Fire fighting system in common areas. Individual letter boxes at the lobby area. Concealed PVC pipes for TV and telephone. Common area shall be suitably paved and landscaped. Intercom facility between security and flats. Air conditioned Multipurpose hall and Theatre. Swimming pool with changing rooms and toilets. Ramaniyam Real Estates Private Limited was developed under the leadership of Mr. V. Jaggannathan in the year 1986, As the name only says Ramaniyam projects are an embodiment of grace, beauty and elegance, enchanting homes with an aura of warmth and comfort as well as ultramodern commercial spaces fully equipped to handle the needs of your business. One such residential project is Ramaniyam Magnum in Perungudi, OMR where you can find 2,3 BHK flats for sale with best amenities. They have constructed many projects in Chennai, they stand tall because of the quality and finesse that is standard procedure, they focus on constructing the home which is budget-friendly and reaching the customer expectation, they have a team of qualified professionals who are experts in their fields who make sure that all your wishes to be fulfilled, from start to end till you get your keys. They have constructed many projects some them are, Ramaniyam Ocean Dew in Pallikaranai, Chennai, Ramaniyam Pushkar Phase II in Sholinganallur, Ramaniyam Magnum in Perungudi, Ramaniyam Sumikrish in T. Nagar and the list goes on.